The fresh air in your face, your hair billowing in the wind, the feeling like you are part of the surrounding countryside. This is the feeling of freedom while you travel that only a motorcycle can bring. But when there is an accident, the lack of protection offered by a motorcycle to its riders means serious injuries are likely. If you are hurt in a motorcycle accident, you will need medical attention and often the focus on your recovery takes all of your attention and time. But at some point, you will also need to pay the medical bills, and even worse, you may not be able to work because of your injuries. How can you fight the insurance companies while you are laid up with serious medical issues? You could use some help and an experienced motorcycle accident attorney has the knowledge and resources to handle the personal injury claims associated with your motorcycle accident. 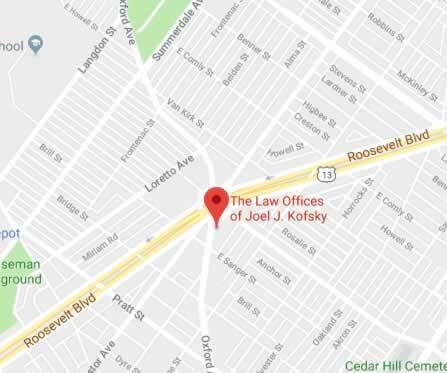 The Law Offices of Joel J. Kofsky are experts at personal injury law and motorcycle accidents. They have experience helping those injured in motorcycle accidents, and they offer a free initial consultation with no obligation. There is no risk to call them and review your case, and if they take your case, you will have gained a valuable ally. Some studies find the percentage of time where the car driver caused the accident at an even higher rate. The car driver usually fails to see the motorcycle or they do not understand who has the right of way. It is important when filing an accident claim to establish that the other driver was negligent. It is not easy to do, but when you were a motorcycle driver, it is even harder. You need to be aware of this issue and not let the assumptions about motorcycles become an obstacle. One of the best things you can do to establish the neglect that caused your accident is to hire the best motorcycle attorney. They know how to prove negligence and fight back against assumptions and bias against motorcycles. These issues at first might be hard to grasp as important, but they are very real and you need to be aware of such issues when seeking compensation for damages, especially if your claim ends up in front of an arbitrator, judge, or jury. The image of a rogue biker as an outlaw is real with more people than you would guess. But think about how bikers are almost always portrayed in movies, rogue outlaws! This reflects what many who do not ride think about bikers. It is important to understand the perception of others and to take measures to prevent this bias from happening. The injuries resulting from a motorcyclist crash are often severe and extensive. This also means the necessary medical care is extensive and expensive. The size of the medical bills from motorcycle accidents means most insurance companies will fight hard to minimize the amount of a settlement. In addition to high medical bills, there is often the need to hire experts, another expense, to prove the neglect of other drivers. Many motorcycle accidents result in large claims that insurance companies vehemently contest. The cold, hard truth is the insurance companies are a business, and big payouts do not help their profits. You should make sure you take every possible measure to be prepared for the resistance you will encounter. A strong, experienced personal injury lawyer is a good resource to have in order to push back on the reluctance of the insurance companies to pay. Let’s face it, bikers love their ride and many owners make sure their motorcycles run perfectly and are clean, looking their best. Some motorcycle owners even made modifications to make the bike more eye-catching. But believe it or not, if you have to file a claim resulting from a motorcycle accident, some may argue that the way the motorcycle looks proves you are the negligent party. Just look at the bike, it is sleek and made for speed. So, the driver must have been going too fast! It is not fair, but these biases and assumptions will need to be overcome. If you have the best accident lawyer available, they will be able to represent you and your interests. An experienced accident attorney will know how to address these issues unique to motorcycle accidents. Motorcycles make up 3% of all registered vehicles but only 0.7% of all vehicle miles traveled in the U.S. Many of these are life-changing injuries, and you will face large medical bills, lost wages, rehabilitation expenses, etc. on the road to recovery. You have a right to be compensated for the losses you suffered as a result of your injuries, but insurance companies resist paying out on the big claims that are so often associated with motorcycle accidents. It is a wise choice to get help when you are seriously injured in a motorcycle crash and the best personal injury lawyers will fight for every penny owed to you if you were hurt by a negligent driver. 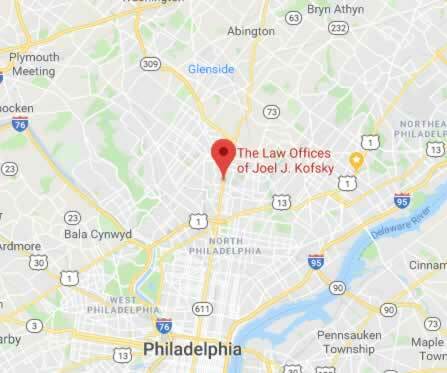 Retaining an experienced motorcycle accident attorney will cost you nothing unless you collect on your claim, so there is no added expense and your chances of a success are greatly improved with an aggressive, knowledgeable lawyer in your corner. If you are in an accident where you are injured, you will need to prove negligence on the part of another driver, municipality, part manufacturer, or anyone who caused the accident. As already noted, when a motorcycle and car are in an accident, the car will be at fault two-thirds of the time. So, the motorcycle driver more often than not has a valid claim and should, and can, be compensated for their losses. However, some of these unique risks related to motorcycles may be a difficult part of any claims you need to file. Insurance companies often cite these risks and present them in a way to insinuated the motorcycle driver must be at fault. Understanding these risks, and the responsibility and care that each driver must exercise, is important. A skilled accident attorney can help you assess negligence and make the powerful argument you need to ensure your valid claims are paid. attempting to overtake a car. This type of accident happens between two cars as well, but the motorcycle’s small size makes it harder to spot by the turning car. Almost always, a vehicle that hits another vehicle while making a left-hand turn will be found at fault for the accident. However, if the motorcyclist was speeding or in the wrong lane, then the motorcycle may share fault for the accident. Shared fault can hurt the motorcycle rider financially, resulting in less compensation from the driver of the car for injuries and damages caused during an accident. The best accident attorneys know how to anticipate how the opposition will attempt to spread the blame around, and how to fight back against the tactic to minimize the payout. Do I Need to Wear a Helmet in Philadelphia? So, if you are under twenty-one, or you do not have experience with riding motorcycles, you need to wear a helmet. This does not apply to three-wheeled motorcycles or autocycles with an enclosed cab.